Not interested in Round Lake ? Please choose a different community. 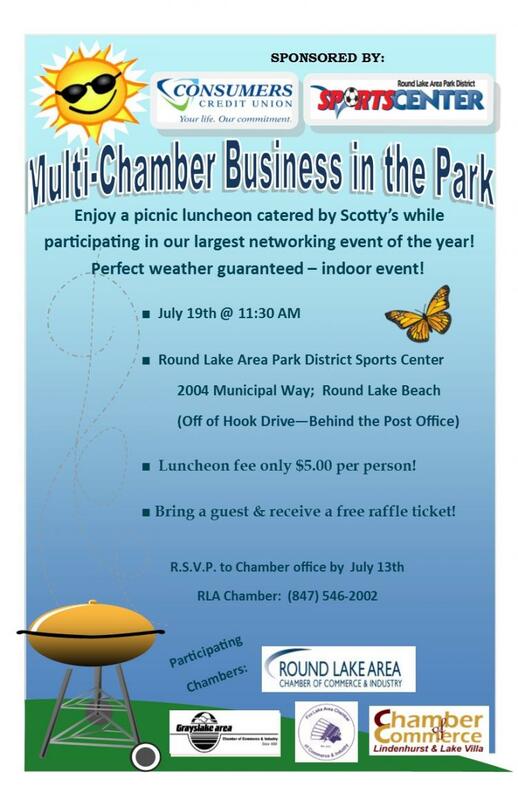 Enjoy a picnic luncheon catered by Scotty's while participating in our largest networking event of the year! Perfect weather guaranteed - indoor event! Bring a guest and receive a free raffle ticket! Furniture Rental and purchase - Cash Advance Services now available. Click here for our Facebook page. Buyers- Sellers- Residential - Commercial - Serving Illinois & Wisconsin Click here to start your move. Click on our logo to visit our site to contact us for your free analysis.